The water bus connects Hemiksem with Antwerp and is a valid alternative for your commute. Combine the water bus with other ferry services, to easily get from point A to point B. 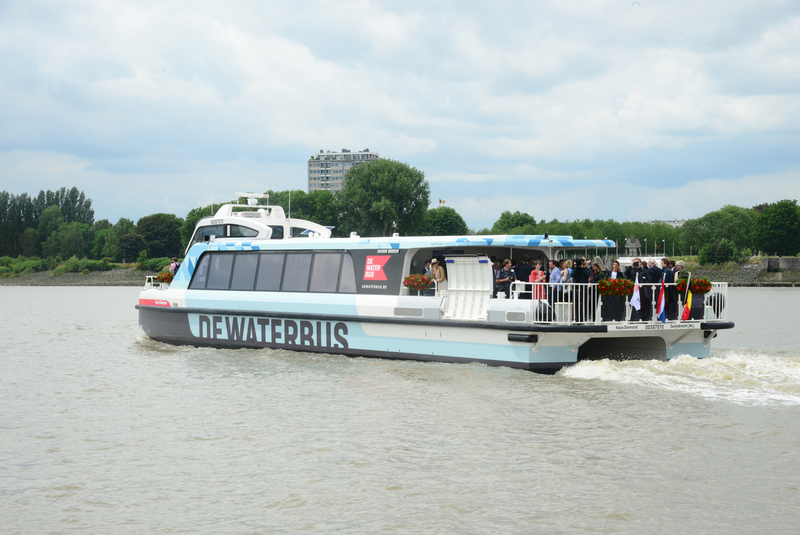 Since 1 July 2017, the water bus offers an efficient connection between the region to the south of the city and Antwerp, sailing from Hemiksem to Steenplein and stopping in Kruibeke. The total time of a single journey is approximately 30 minutes. You can easily combine the water bus with the ferry services between Hemiksem and Bazel, Hoboken and Kruibeke and Linkeroever and Antwerp. The water bus leaves every hour. As of October, the service will be operated with two boats with departures every 30 minutes. Bicycles and dogs on a leash are allowed on board. A single journey with the water bus costs 3 euros, with discount tariffs for children of €2.5. You can also buy multi-ride tickets or a water bus pass. Buy your ticket on board from the steward. Check the website of the water bus for further information about departure times and prices.